We encourage maintenance in fall before you need to use your heating system because it ensures that your heating system is safe to use during winter. The most common heating system across the country is a furnace and the most dangerous furnace problem is carbon monoxide poisoning. Carbon monoxide is so dangerous because it’s an odorless, colorless, poisonous gas that can spread in your home without you realizing until it’s too late. Carbon monoxide is produced through the fuel combustion process in your furnace, oven, and sometimes even in your dryer. If everything works correctly, this gas should vent outside, but when things go wrong, it can become a problem in your home. The danger of carbon monoxide is why heater maintenance is so important. Carbon monoxide can leak into your home if the quality of your heat exchanger (the metal component that transfers heat to air as the air passes by) is compromised. The heat exchanger should move this gas out of the flue vent but if your heat exchanger is broken or cracked the process becomes muddled. The best way to ensure that your heat exchanger always does what it needs to do is to schedule heating maintenance annually. A complete furnace tune-up from our team allows a technician to check for any potential issues you might have. Your furnace system is definitely far from inherently dangerous, so you don’t have to be scared to turn on your heater after heating this blog, but there are many things that can go wrong with this system if you skip out on regular maintenance services. 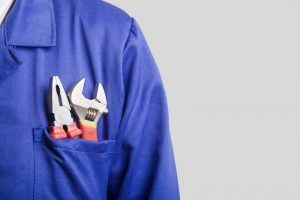 Our maintenance services will ensure that you’re always getting the most from your heating system so that you can extend the lifespan of your heating system, improve efficiency, and benefit from lower utility bills. Maintenance services are a great way to save money on your heating system and ensure your home safety. If you need great maintenance services in the Greater Birmingham Area then contact our team here at Gas Engineers.